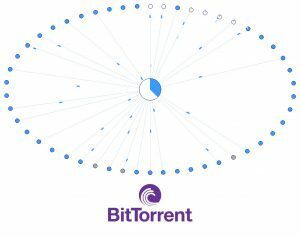 Many people associate BitTorrent with downloading pirated movies, but it’s not an illegal application, it’s a protocol that allows you to move large data files around. Yes, of course, some people use it for piracy, but it can be used for totally legal reasons too – and makes moving large files much easier. It may be hard to believe but the original program was developed back in 2001. It works by splitting the data from one file into lots of bits and so, instead of downloading your file from one server – which can take AGES – you download it from a whole bunch of servers simultaneously so it’s downloading concurrently instead of sequentially. It’s then ‘reassembled’ on your computer – as if by magic! Think of it a bit like Star Trek’s ‘Beam me up Scotty’ equipment – all the molecules are sent from where they are to the new coordinates. So next time someone talks about BitTorrent don’t jump to conclusions – they could just be using its power to speed things up a bit.